Did the Scots really cower in the shadow of their powerful, aggressive English neighbour? This book reveals a very different picture. Scottish armies repeatedly invaded English-held territory, defying generations of Anglo-Norman kings, and it took many centuries to finally decide the fluid Border frontier. Sent homeward to think again ... ? The author spells out the financial and military factors that helped to ensure Scotland's independence from the time of the Romans in Britain through Saxon, Norse and Norman invasions, the ravages of Edward Longshanks and the savagery of Henry VIII's 'rough wooing'. How did the English people react to the Union of Crowns? Were the Scots incorporated against their will? 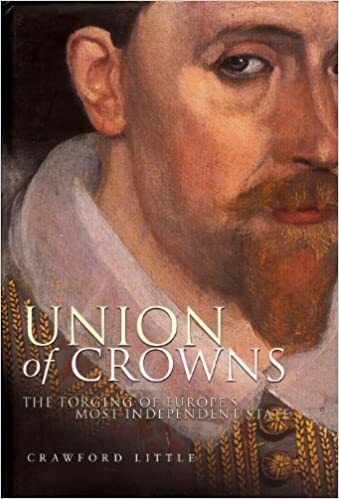 This book explodes the myth that the crowns of England and Scotland were united in some sort of constitutional coincidence. It uncovers associations between many Scots and the English court and its secret service – lifting the lid on a murky underworld of collaborators, spies and assassins. Did the French love the Scots as much as they hated the English? The author reveals the implications of the Auld Alliance between Scotland and France, and the legacy of England's foreign wars. The mutually sacrificial and loveless marriage of England and Scotland, arranged by Protestant pragmatists, secured independence for both countries which might otherwise have become Catholic dominions of France or Spain. Who gained most from Britain's independence? Britain was just a small corner in a huge power struggle raging throughout Europe. The author reveals the ruthless, secular and political nature of religions that tortured and massacred men, women and children in their hundreds of thousands. Divided they might have fallen or been pushed into obscurity, but united the two countries stood as Europe's foremost independent Protestant state, the seat of democratic government and the foundation stone of much social and legal reform. Today, when many are asking if it's time to end the 305-year-old union and look increasingly to a united Europe, this book prompts a greater understanding of the warts-and-all origins of our ancestors' legacy.